After MoDOT’s public informational open house on the Meramec River Bridge project, the department received a great deal of feedback from the community on their thoughts about a connection between the east and west sides of the Meramec for cyclists and pedestrians. The majority of that feedback was in support of some form of a cyclist/pedestrian crossing near I-44. 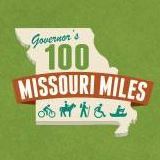 Since that time, MoDOT has partnered with Great Rivers Greenway and the surrounding municipalities to come to an agreement about constructing a shared-use path across the river. On March 13, 2018, the department came to a formal agreement with Great Rivers Greenway about a partnership to construct a 12-foot protected path for walking and biking on the bridge, and it continues to work with local municipalities about funding to connect that bridge path to existing trails on either side of the bridge. Ultimately, the intent is to link to the existing Meramec Greenway, Emmenegger Nature Park , Powder Valley Center and Conservation Area and Possum Woods Conservation Area. As the project continues toward the start of construction in fall 2018, we will continue to provide updates on the details of this solution. MoBikeFed comment: This is a great example of local citizens correctly identifying an important bicycle/pedestrian need, MoDOT listening to citizen concerns, and working together with local partners--including Great Rivers Greenway, Trailnet, and interested neighboring communities--to find a way to make it happen. Kudos to the citizens who stood up and asked for this important connection, to MoDOT staff and leadership for listening, and for partners on the project for finding the funding and political will to support it.